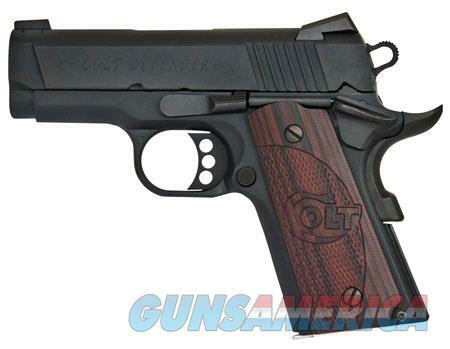 Description: Colt Mfg O7800XE 1911 Defender Single 45 ACP 3" 7+1 Black Cherry G10 Grip Black Cerakote, Slim Line Lightweight. AS ALWAYS - NO CREDIT CARD FEES......... SHIPS IMMEDIATELY UPON RECEIPT OF PAYMENT AND FFL SHIPPING INFORMATION - NO DELAYS. This Colt Defender pistol is a carry0ready 1911 in a compact size. It has a lightweight aluminum frame and forged steel slide finished in a matte black for true concealment. Included is G10 black cherry grips with up-swept beavertail grip safety which makes this small pistol very comfortable to shoot.